Because of his role during the American Revolution, Jonathan Trumbull is one of Connecticut’s best-known governors, and many historians regard him as one of its greatest leaders. He was the only governor of an English colony to side with the colonists, and his opposition to England’s encroachments into the colonies made him the only colonial governor to remain in office throughout the war. Thus, he became Connecticut’s last colonial governor and its first state governor. Born in Lebanon, Connecticut, the son of Joseph and Hannah (Higley) Trumble, Jonathan Trumbull (who changed the spelling of his surname in 1765) was the first Connecticut governor to be born in the eighteenth century. His father had moved to Lebanon in 1705 and developed an importing and trading goods business there. Jonathan assisted in this family business until he went to Harvard to study for the ministry at age 13. He obtained a master’s degree in 1730 and was licensed by the Windham Association (of Congregational churches) on October 13 of that year. He briefly preached at and was being considered as a ministerial candidate in Colchester; however, he was never ordained. By July 13, 1731, Jonathan and his older brother, Joseph, had begun a trading partnership. When Joseph disappeared during a trading voyage in early 1732, Jonathan carried on the business. He took cattle and other goods to ports such as Boston, where he traded them for consumer goods that had been imported from Europe. These goods were then brought back to the Lebanon area for sale and trade. While still working in the mercantile business, Trumbull studied law and embarked on a career in public service. In May 1733, he was elected as a Deputy from Lebanon to the General Assembly, and for the next 50 years he served in some capacity in Connecticut’s government. He was also a lieutenant colonel in the colonia militia. On December 9, 1735, he married Faith Robinson, a daughter of the Rev. John and Hannah (Wiswall) Robinson of Duxbury, Massachusetts. Married at age 17, Faith became the mother of six children including painter John Trumbull; Joseph, who served Commissary General of the Continental Army; David, who assisted his father in obtaining provisions; and Jonathan, who himself later served as governor. Trumbull’s marriage into a prominent family, his education, and his work for the government placed him among the leaders of Connecticut society. During the French and Indian War, when providing supplies to troops, his business prospered. Shortly thereafter, however, his firm developed problems that left him close to bankruptcy for many years. Trumbull was very liberal in extending credit to his customers; by 1763, his receivables exceeded 10,000 pounds and merchants in Boston and elsewhere were demanding payment. It is not clear why Trumbull, a very intelligent and industrious man, operated in this manner. Some studies suggest that this policy enhanced his standing with local voters, whose support he needed to remain a leader in the colony. His talent in interpersonal relations enabled him to evade and stall his creditors until his death. Trumbull’s ability to negotiate and mediate his way through difficult issues was also evidenced in his remaining on good terms with both the “New Lights” and “Old Lights” during the religious revival known as the Great Awakening. Although he introduced legislation in 1743 that supported the “Old Light” establishment by prohibiting ministers from entering other parishes without invitation, in eastern Connecticut he was generally viewed as a sympathizer of the more liberal “New Lights”. 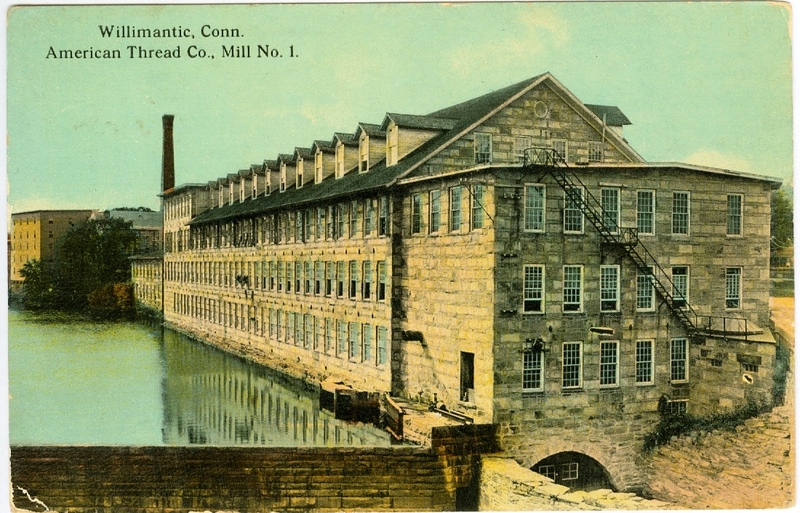 By the late 1760’s, Jonathan Trumbull had won additional political support throughout eastern Connecticut by supporting the views of the Sons of Liberty, colonists who resisted what they considered to be British tyranny and by promoting (as well as becoming a shareholder in) the Susquehannah Company, which had been formed in nearby Windham to settle land along the Susquehanna River in what is now Pennsylvania. After Governor Thomas Fitch chose to enforce the British Stamp Act in 1765, the Sons of Liberty supported William Pitkin of Hartford for governor and Jonathan Trumbull for deputy governor in 1766. Following their successful election, Trumbull served over three years as Deputy Governor and concurrently as Chief Justice of the Superior Court. He was named by the General Assembly to fill the remainder of the term of Governor Pitkin, who died on October 1, 1769. The following year Trumbull received more votes than Fitch in an election again split largely along geographic lines, with his support centered in eastern Connecticut and much of Fitch’s more conservative following coming from western portion of the state. However, because there were more than two candidates and none had received at least fifty percent of the vote, as was then required to be elected Governor, the legislature had to decide the outcome of the election; it reappointed Trumbull. He ultimately served as governor for over 14 years, much of it during very difficult and turbulent times. On October 10, 1776, the Connecticut General Assembly approved the Declaration of Independence but resolved that civil government would otherwise continue as established under the Charter. However, while the General Assembly had kept the position of governor weak throughout the colonial period, it granted Trumbull enormous powers to handle the daily work of the war. He became the first Connecticut governor to serve in a true executive capacity. As a close friend and advisor to George Washington, perhaps his greatest contribution to the American cause was supplying about 60 percent of the manpower, food, clothing, shoes, and munitions for the Continental Army. This feat helped earn Connecticut the unofficial nickname of “The Provisions State”. Trumbull’s store in Lebanon, once the headquarters for his mercantile business, became the War Office and a meeting place for the Connecticut Council of Safety that assisted him. George Washington, the Marquis de Lafayette, Rochambeau, Benjamin Franklin, Samuel and John Adams, Thomas Jefferson, and Generals Putnam and Knox are among those believed to have visited Trumbull at his home. During the winter of 1780-81, five hundred French troops under the Duc de Lauzun camped nearby. According to legend, Trumbull became known as “Brother Jonathan” because at meetings George Washington was reported to have said, “Let us hear what Brother Jonathan has to say about this.” The nickname came to represent the steady and reliable people of Connecticut, and ultimately, the American public. Another legend holds that “Jonny-cake” was named for him. Although the historical accuracy of both of these legends remains in doubt, a more accurate reflection of his popularity is the fact that he was the first Connecticut Governor to be accorded the title of “His Excellency” by the General Assembly. As governor, Jonathan Trumbull continued to support the state’s claims to its western territory. 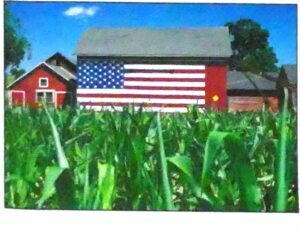 In October 1776, the General Assembly approved formation of the County of Westmoreland, in what is now Pennsylvania. On November 15, 1783, Governor Trumbull issued a proclamation protecting Connecticut’s rights to “all lands by virtue of the charter granted by King Charles”. The Western Lands in what became Ohio were later sold and the money used to create the “School Fund”, a foundation of Connecticut’s public education. Although initially supported nearly unanimously (no one challenged him for reelection in 1775), Jonathan Trumbull became increasingly unpopular as time went on. In 1779, he advocated abolition of the state’s wage and price controls. By 1781, rumors were spreading across the state suggesting that the governor was personally profiting from illicit trade with Long Island, which was still held by the British. It became increasingly apparent to many that his personal political beliefs were far less radical than those of many of his supporters. For example, he told the General Assembly in October 1782 that “in the State of Nature all men are born equal, but they cannot continue this equality” and that “there is danger of running into extreme equality, when each citizen would fain be upon a level with those he has chosen to govern him…” In the summer of 1783, Trumbull’s leadership and support for commutation of officer’s pensions were brought into question. Although most early Connecticut governors remained in office until they died, in May 1784 Jonathan Trumbull announced his intention not to seek another term. The trials of the war had drained him, but he also had failed to win fifty percent of the votes in three of his last four elections. Because of the long hours and extra meetings that Trumbull had engaged in during the war, Connecticut owed him back pay. When he petitioned for these funds, the state paid him in financial notes that were payable in five to seven years. As one biographer has noted, “thus was a bankrupt Governor paid by a bankrupt State.” Trumbull spent his brief retirement in the study of theology. He died of a stroke at his home in Lebanon on August 17, 1785. Jonathan Trumbull is buried in a tomb in Lebanon’s Trumbull Cemetery. His house in Lebanon and the War Office where he held many war meetings are museums that are open to the public. The public library in Lebanon is named for him. Among the many other places named in his honor are streets in New Haven and Hartford; Fort Trumbull in New London; Trumbull College at Yale; the town of Trumbull, Connecticut; and Trumbull County, Ohio in the former Connecticut Western Reserve. A student contest in 1933 resulted in the naming of the Connecticut State College (now the University of Connecticut) Husky mascot “Jonathan,” for Connecticut’s Revolutionary War-era governor, Jonathan Trumbull, and there is a dormitory, Trumbull House, on the University campus. Allibone, S. Autin. Allibone’s Critical Dictionary of English Literature. Philadelphia: J.B. Lippincott and Co., 1965 [CSL call number Z 2010 .A44 1858]. Biography Index: A Cumulative Index to Biographical Material in Books and Magazines, v.3, 4, 6, 8, 10. New York: H.W. Wilson Co., 1956- [CSL call number Z 5301 .B5]. Boatner, Mark Mayo III. The Encyclopedia of the American Revolution. New York: D. McKay Co., 1966 [CSL call number E 208 .B68]. Buel, Richard Jr. Dear Liberty: Connecticut’s Mobilization for the Revolutionary War. Middletown: Wesleyan University Press, 1980 [CSL call number E 263. C5 B 83]. Burnett, Edmund C, ed. Letters of Members of the Continental Congress (1921-1923). Washington, DC: The Carnegie Institution of Washington, 1921 [CSL call number JK 1033 .B8]. Dictionary of American Biography. Volume XIX. New York: Charles Scribner’s Sons, 1936, s.v. “Trumbull, Jonathan” pp. 15-17 [CSL call number E 176 .D56]. Drake, Francis S. Dictionary of American Biography. Boston: James R. Osgood & Co., 1872 [CSL call number E 176 .D725]. Faragher, John Mack, ed. The Encyclopedia of Colonial and Revolutionary America. New York: Facts on File, 1990 [CSL call number E 188 .E63 1990]. Fitzpatrick, John C., ed. The Writings of George Washington From the Original Manuscript Sources, 1745-1799. Washington, DC: Government Printing Office, 1931-1944 [CSL call number E 312.7 1931]. Ford, Worthington C., ed. Journals of the Continental Congress, 1774-1789, Washington, DC: Government Printing Office, 1937 [CSL call number FedDoc LC 4.5]. Garrity, John A. and Mark C. Carnes, eds. American National Biography. New York: Oxford University Press, 1999, s.v. “Trumbull, Jonathan” [CSL call number GIS Ref CT 213 .A68 1999]. Giffs, William Elliot. “Brother Jonathan and His Home.” New England Magazine n.s. 17 (September, 1897) [CSL call number F 1 .N58]. Glashan, Roy R. American Governors and Gubernatorial Elections, 1775-1975. Stillwater, MN: Croixside Press, 1975 [CSL call number JK 2447 .G53 1975]. Grant, Ellsworth S. “They Gave Us Liberty: Jonathan Trumbull.” The Hartford Courant, June 22, 1976. Lea, James Henry. Contributions to a Trumbull Genealogy, From Gleanings in English Fields. Reprint. Salem, MA: Higginson Book Co., 199? [CSL call number CS 71 .T87 1990z]. Lossing, Benson John. Harper’s Encyclopedia of United States History From 458 A.D. to 1912. New York: Harper Bros., 1912 [CSL call number E 174 .L 92 1912]. Morgan, Forrest, ed. Connecticut as a Colony and as a State, or, One of the Original Thirteen. Hartford: The Publishing Society of Connecticut, 1904 [CSL call number F 94 .M84]. Parry, Melanie, ed. Chambers’ Biographical Dictionary. New York: Larousse Kingfisher Chambers, 1997 [CSL call number CT 103 .C4 1997]. Preston, Wheeler. American Biographies. New York: Harper & Brothers, 1940 [CSL call number CT 213 .P7 1940]. Purcell, Richard J. Connecticut in Transition, 1775-1818. Washington, DC: American Historical Association, 1918 [CSL call number F 99 .P98]. Roth, David M. Connecticut’s War Governor: Jonathan Trumbull. Connecticut Bicentennial Series, IX. American Revolution Bicentennial Commission of Connecticut, 1974 [CSL call number ConnDoc Am 35 cb]. Stuart, Isaac William. Life of Jonathan Trumbull Senior, Governor of Connecticut. Boston: Crocker and Brewster, 1859 [CSL call number E 263 .C5 T85 1859]. Trumbull, Jonathan. Jonathan Trumbull, Governor of Connecticut, 1769-1784. Boston: Little, Brown, 1919 [CSL call number E 263 .C5 T87]. “The Trumbull Papers.” Collections of the Massachusetts Historical Society, vols. 49-50, 62-63 (Series 5, v. 9-10; Series 7, v. 2-3). Boston: Massachusetts Historical Society, 1885-1902 [CSL call number F 61 .M41]. Van Dusen, Albert E., ed. Adventurers for Another World: Jonathan Trumbull’s Common-place Book. Hartford: Connecticut Historical Society, 1983 [CSL call number E 263 .C5 T773 1983]. Weaver, Glenn. Jonathan Trumbull, Connecticut’s Merchant Magistrate, 1710-1785. 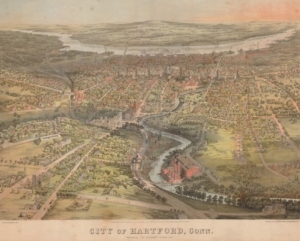 Hartford: Connecticut Historical Society, 1956 [CSL call number E 263 .C5 T9]. Zeichner, Oscar. Connecticut’s Years of Controversy. Williamsburg, VA: University of North Carolina Press, 1949. [CSL call number F 97 .Z4 1949]. __________. “250th Anniversary of the Birth of Jonathan Trumbull, Senior.” Bulletin of the Connecticut Historical Society 25:2 (April, 1960), pp. 33-35. Trumbull, Jonathan. The Trumbull Papers: Connecticut Colonial Official Papers, 1631-1784. [Main Vault 974.6 fT76]. These papers were collected by Governor Jonathan Trumbull under instruction of the Connecticut General Assembly. 53″ x 65″ in its frame, painted by George F. Wright (1828-1881). 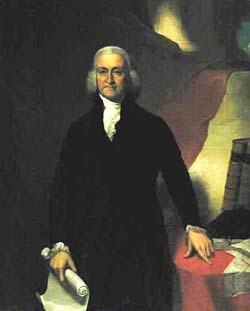 It was copied from a portrait by John Trumbull, the governor’s son. Originally prepared by David O. White, Museum of Connecticut History, Connecticut State Library. Edited and revised by CSL Staff, July 2002. Copyright © 2002.